Shulamith Lala Ashenberg Straussner, is professor at the New YorkUniversity School of Social Work and coordinator of theirpost-master's program in the treatment of alcohol and drug abusingclients. She is the author or editor of several books, includingClinical Work with Substance-Abusing Clients (1993) and Gender andAddictions: Men and Women in Treatment (1997). Stephanie Brown is director of the Addictions Institute in MenloPark, California, and codirector of the Family Recovery Project atthe Mental Research Institute in Palo Alto, California. She is theauthor of Treating the Alcoholic (1985) and Treating Adult Childrenof Alcoholics (1988), the editor of Treating Alcoholism (1995), anda coauthor of The Alcoholic Family in Recovery (1999) and TheFamily Recovery Guide ( 2000). PART ONE: UNDERSTANDING ADDICTED WOMEN. 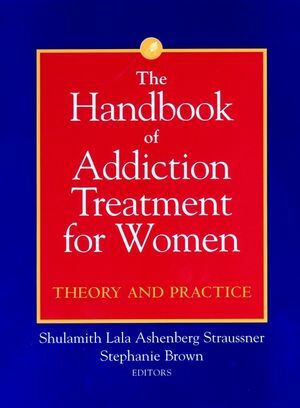 1 Women s Addiction and Treatment Through a HistoricalLens(Shulamith Lala Ashenberg Straussner and Patricia RoseAttia). 2 Women and Addiction: Expanding Theoretical Points ofView(Stephanie Brown). 3 Helping Women Recover: Creating Gender-ResponsiveTreatment(Stephanie S. Covington). PART TWO: MAJOR ADDICTIONS AMONG WOMEN. 4 Drug- and Alcohol-Abusing Women (Lynn E. O Connor, MilenaEsherick, and Cassandra Vieten). 5 The Queen of Diamonds: Women and Compulsive Gambling (Diane RaeDavis). 6 Women and Eating Disorders (Susan D. Raeburn). 7 Sexually Addictive Behavior in Women (Judith E. Rubin). 8 Women and Relationship Addiction (Carol Tosone). 9 Women and Spending Addictions (Linda Barbanel). 10 Women and Smoking (Jeannine Crouse). PART THREE: LIFE CYCLE ISSUES FOR ADDICTED WOMEN. 11 Adolescent Girls and Addiction (Rose Fajardo Latino). 12 Addiction and Recovery in Midlife (Nancy Waite-O Brien). 13 Older Women and Addictions (Renee S. Katz). PART FOUR: ADDICTIONS ISSUES FOR ETHNICALLYDIVERSE WOMEN. 14 Black Women and Addictions (Muriel Gray and Melissa B.Littlefield). 15 Latinas in Cultural Transition: Addiction, Treatment,andRecovery (Juana Mora). 16 Asian and Pacific Islander Women and Addiction (Kerrily J.Kitano and Liane J. Louie). PART FIVE: SPECIAL POPULATIONS AND SETTINGS. 17 Addiction and Women in the Workplace (Jane M. Nakken). 18 Effective Intervention and Treatment for Lesbians (LaurieDrabble and Brenda L. Underhill). 19 Addictions and Women with Major Psychiatric Disorders (Diana M.DiNitto and Catherine Crisp). 20 Homeless Addicted Women (A. Meredith Deming, Karen McGoff-Yost,and Anne L. Strozier). 21 Addictions and Women in the Criminal Justice System (Katherinevan Wormer). 22 Women Affected by Addictions (Elizabeth Zelvin). PART SIX: TREATMENT APPROACHES AND MODALITIES. 23 Group Treatment of Substance-Abusing Women (Eileen P. Beyer andKaren Carnabucci). 24 Women in Self-Help Programs (Joyce Schmid). PART SEVEN: EPILOGUE AND RESOURCES. 25 Epilogue (Shulamith Lala Ashenberg Straussner and StephanieBrown). Resources (Nancy K. Brown and Rita Rhodes).